Positioned 10 km south of Dubrovnik, Vacation home Barbara is 150 metres away from the Adriatic Sea in Mlini, providing air-cooled studios with free internet access, a kitchenette and a private toilet. The studios have wooden floors, seating areas and satellite tv is provided. Visitors can sit back on the sizable shared sun outdoors terrace with sea view. Grill amenities are available on site. Staircases lead from the back yard directly down to 3 beaches. Villa Barbara is 10 km north of Cilipi Flight terminal and Cavtat, and it presents decent bus as well as boat connections to Dubrovnik. Shuttle services to the airport are available at an extra charge. Within 300 metres from the Barbara there are innumerable shops and eating places with Dalmatian and international cuisine, and guests can take part in an energetic night life. Daily excursions can be organised on site. Srebreno ( ~ 1.2 km ): 163+ apartments, 9+ villas, 8+ hotels. Cavtat ( ~ 4.4 km ): 283+ apartments, 40+ villas, 16+ hotels. 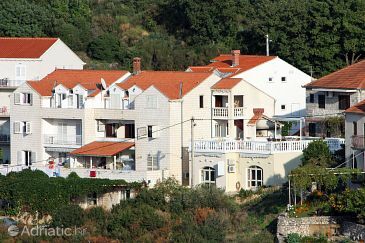 Drvenik ( ~ 9.7 km ): 1+ villas/holiday houses. Cilipi ( ~ 9.9 km ): 16+ accommodation units. Dubrovnik ( ~ 10.4 km ): 1597+ accommodation units. Mokosica ( ~ 11.7 km ): 63+ apartments. 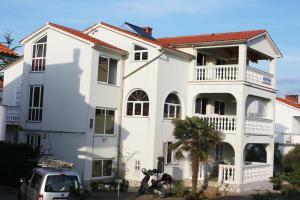 Beach Fkk Mlini ~ 0,5 km from Villa Barbara Sandy beach: ideal for families, with restaurant, equipped with showers. Nudism is allowed. Beach Fkk Plat ~ 1,8 km from Villa Barbara Gravel beach: ideal for families, with restaurant, equipped with showers. Nudism is allowed. Beach Hotel Croatia ~ 4,7 km from Villa Barbara Rocky beach: ideal for families, with restaurant, with caffe bar, equipped with showers. Excellent choice of watersports. Nudism is allowed. Beach Lokrum, Dubrovnik ~ 7,5 km from Villa Barbara Gravel beach: ideal for families, recommended for young people. Excellent choice of watersports. Nudism is allowed. Beach Sv. Jakov, Dubrovnik ~ 7,7 km from Villa Barbara Gravel beach: recommended for young people, with restaurant, with caffe bar, equipped with showers. Excellent choice of watersports.